A finely tuned short game is critical to scoring in golf. It can take advantage of a great tee shot to put you in scoring position and bail you out from a bad approach shot. Few things in golf are as important as having the right set of wedges for your game. 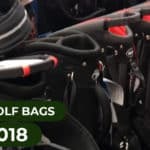 We start off with our picks for the best golf wedges in 2018 then follow with the most detailed wedge buying guide you’ll find outside of a book. If you’re looking for the best golf wedges, the word Cleveland should immediately come to mind. 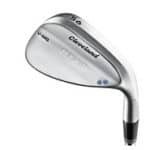 Over the years Cleveland has always been known as the leader in wedge design, and the RTX-3 is right up there with the best. Cleveland has always been known for its innovative wedge designs, and the RTX–3 is no exception. It’s a classic design that is jam-packed with cutting edge technology. Three new innovations can be found in the design of the RTX–3, the first is Feel Balancing Technology, which moves weight from the hosel of the club to the wedge head,this leads to better feel and very tight shot dispersion. Secondly the grinds (dot system) on the RTX–3 features a V shape that adds shot control and consistency. 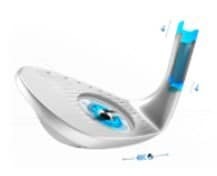 The final piece of technology that makes this wedge very high tech is the new third generation ROTEX face design, which increases spin but also ensures that the spin is constant. Nine grams of weight were removed from the hosel and distributed to the wedge head. This redistribution of weight brings the center of gravity of the club closer to the impact zone which increases feel and also ensures a tighter shot distribution. V-LG (1 Dot) – The V-LG grind is a low bounce grind which is most suitable when turf conditions are firm, and to players who have a shallow angle of attack. V-MG (2 Dots) – The V-MG grind is a mid bounce grind, this grind will be suited to a variety of players who play many different golf courses since the club offers great interaction with a variety of turf conditions. V-FG (3 Dots) – The V-FG grind is a high bounce grind which is most suitable when turf conditions are soft, this grind will also benefit players who have a steep angle of attack. The third-generation RTX face ensures a refined groove shape which generates the most spin out of any Cleveland wedge ever designed. The micro-milling pattern of the ROTEX face ensures consistent spin ensuring ultimate control. 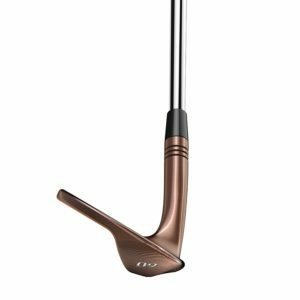 The RTX–3 offers three different finish options, different finishes offer different feel and thus I encourage users to demo wedges in order to choose a finish that is best suited to their personal taste. The Black Satin finish on the RTX-3 wedges is formulated to last longer than any previous Black Satin finishes thus providing longevity of use to players. Forgiveness – The Feel Balancing Technology increases feel, allowing players to get great feedback around the greens. Testing also showed that the technology tightened up shot distribution thus getting better performance when shots are miss hit. 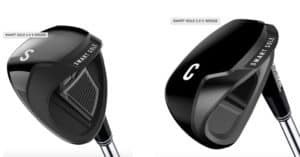 Weight – Swing weights vary from D3 for the 46 degree loft to D6 for the 58 to 64 degree wedges, higher swing weight will ensure that the weight of the clubhead will be very prominent throughout the swing thus allowing players to feel the solidness of strike and will also assist with feel on shorter shots around the greens. Design – The RTX-3 has a very traditional sleek design thus it looks great when you look down to your ball over a shot. 3 different finish options also ensure that each player can obtain a look that they feel comfortable with. Price – The RTX-3 is a pricy wedge, but it is not the most expensive wedge on the market by a long way. Spending just north of a hundred dollars is well worth it for this wedge, it is a great product, packed with cutting edge technology and the new Black Satin finish is more durable than any other Black Satin finish on the market thus as a user you will get great longevity out of the product. The RTX-3 is a sleek and classy designed wedge packed with revolutionary technology. Cleveland has a track record of producing cutting edge wedges and the RTX-3 will continue to make a name for Cleveland. 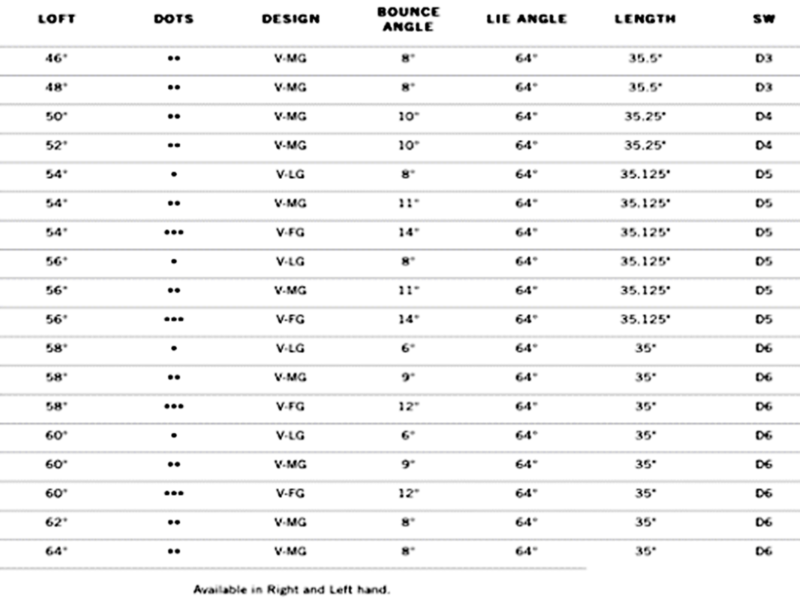 18 different loft/bounce setups can be ordered in 3 different finishes thus there are many different options to ensure that you have the perfect wedge make-up in your bag. A great wedge for both low and high handicap golfers and why we named them the best golf wedges for 2017. 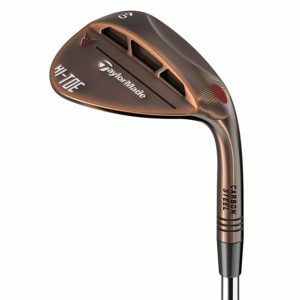 Titleist recently released their 2018 wedge, the Vokey SM7, which follows in the footsteps of the SM6. This is one of the most trusted wedges on Tour. Titleist continues to be one of the industry leaders in wedges because of their simple and sleek designs, paired with high performance. The SM7 has an improved center of gravity, special spin milled grooves, a variety of sole grinds, and an incredible selection of loft/bounce selections to fit every player. When it comes to wedges, center of gravity is key, though not necessarily consistent from wedge to wedge depending on the loft and bounce. Titleist has made sure that, no matter what wedge combination you choose, they’ve selected the ideal location for the center of gravity. These wedges deliver incredible distance control, shot dispersion, and overall feel. These characteristics of the SM7 are going to make it a wedge that develops a loyal customer base among skilled players. What does it really mean to be “spin milled”? In the case of the SM7, it means that Titleist has created the sharpest and most consistent groove edges. Sharper, consistent grooves mean better spin and feel around the greens to give every player the ability to control their shot. The SM7 also features a parallel face texture that adds to the quality of shot and spin. The milled groves are also optimized to the wedge loft of these clubs. For example, lower lofts (46-54) have narrower, deeper grooves than the higher lofts (56-62). 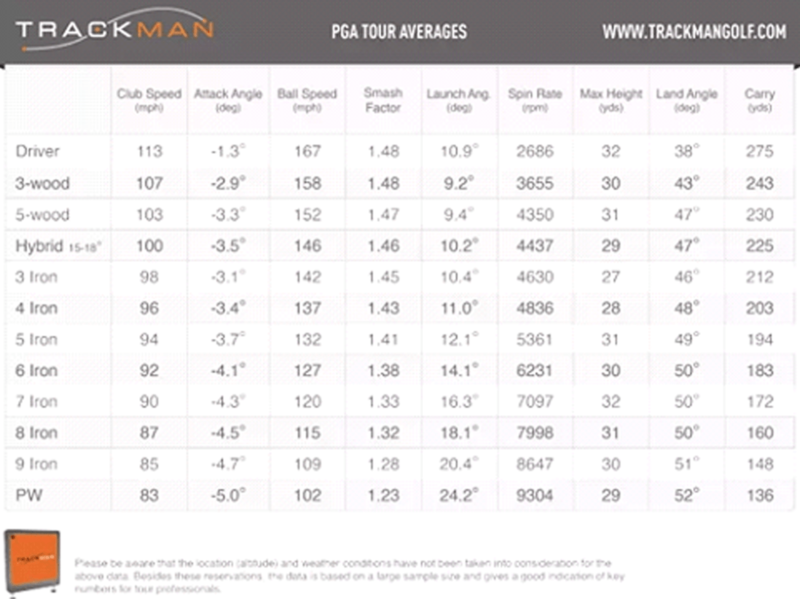 The result of this is better spin and control on all types of shots with all of the wedges in this collection. This year, Titleist offers six different sole grinds on their SM7; F, S, M, D, K, and L. This wide variety gives all players plenty of options to find the best grind for their swing and course conditions. Specifically, the F grind is a sole for full swings and square face shots; best for lower lofts. The S, named for Steve Stricker, is similar to the F, but allows for more versatility in shot-type. The M grind is designed for players who rotate the club face a lot to manipulate shot direction, spin, and height. The D grind, the new one in the Titleist lineup, is a high bounce wedge that allows for versatility in shot making. The K grind is the highest bounce in the lineup and is called the “ultimate bunker club.” Finally, the L grind will deliver the highest level of greenside versatility, but is also the least forgiving wedge in the lineup. The bounce selection that the Titleist SM7 offers is extensive. There’s anything from a 4-degree offering in the lob wedge all the way up to a 14-degree in other wedges. Bounce is a measure, in degrees, of the sole’s edge. It prevents a wedge from digging into the turf, which allows for improved contact. Basically, players with a steeper, digging-type swing and soft turf will want a high bounce. On the other hand, a shallower, sweeping-style swing on firm turf will require a low bounce. There are also mid-bounce options available for those who want to shoot for the middle. The Titleist SM7 wedges are a great blend of style, performance, and adaptability that allows every golfer to find the perfect wedge for their game. This wedge can deliver the shot making ability, consistency, forgiveness, spin, and look that stands up against all of the best wedges on the market. Callaway’s newest wedge, the Mack Daddy 4, is the wedge used by some of the greatest wedge players in the game, including Phil Mickelson. Legendary wedge designer, Roger Cleveland, has helped Callaway create an exceptional wedge, once again. His goal on this club was to create a wedge that produced maximum spin. As you’ll see, there are plenty of features on this wedge which help dramatically increase the spin rate players will experience. To start, the Mack Daddy 4 wedge is one of the best feeling wedges available today. This is a result of the soft carbon steel that makes up the head of this club. Callaway has a four-weight port system, located on the bottom of the club, which focuses on the center of gravity, creating an incredible feel off the face at impact. These four ports, along with the milled aluminum medallions, move the center of gravity forward as the wedge loft increases. Varying centers of gravity, paired with the loft of the club, also adds to the overall feel of each wedge. Callaway equipped the Mack Daddy 4 with their “groove-in-groove” technology. It combines the normal “macro” grooves with additional “micro” grooves in between, leading to more spin and control. There are 84 contact points on the face which is unmatched by any other wedge on the market. These points allow the Mack Daddy 4 to create more spin than ever before. There’s an added groove, called the “nip it” groove,” at the bottom of the face that helps to create more spin on short pitches and chip shots. Not only are the grooves some of the best on the market, Callaway has also designed the leading edge of the club to have a tighter radius. This helps make pure contact when faced with a tight lie. Callaway offers four sole grinds on the Mack Daddy 4 wedges; the C, S, W, and X grinds. Each of these grinds are a way of customizing the wedge to each individual player depending on a person’s playing style, angle of attack, and the golf course conditions. Two of the grinds, the C and X, are great options for players who like to play a variety of different shots at courses with a wide range of lie conditions. On the other hand, the W and S grinds are extremely versatile and ideal for golfers who primarily hit their wedges with a square face. More specifically, the C grind offers increased relief, especially at the heel, and makes it easier for a player to hit shots with an open face. Players who have a medium or shallow angle of attack will benefit greatly from this grind. The S grind offers moderate relief throughout the sole for players who want to keep the face square at impact. 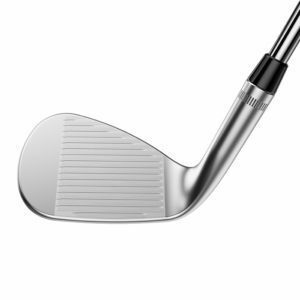 The W grind is a wider sole at the center and narrower at the heel which prevents digging and keeps the toe of the club closed at impact for a square shot. Finally, the X grind is the new grind that has a low point at the toe to help players with steep attack angles. Callaway makes loft and bounce selection fairly easy with the lineup they offer in the Mack Daddy 4 wedges. There are plenty of options, but not too many to be overwhelming for the average consumer. There are only three bounce options; 8, 10, and 12 degrees. For players who have a steep swing that tends to dig into the ground, they ought to consider a high bounce club. On the other hand, players who sweep, or have a shallow swing approach, ought to go for a lower bounce option. Similarly, there are plenty of loft options to cover every player. Callaway offers everything from 46 degrees all the way to a 64-degree lob wedge. Callaway has created a collection of wedges that generate a large amount of spin, leading to more control in a golfer’s short game. They’ve also made the selection of a loft, bounce, and grind combination easier than ever while still providing enough options for players of all skill levels and swing-types. From the moment you pick up the TaylorMade Hi-Toe wedge, you can tell that there is something different about this club. 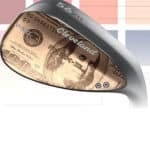 The grooves on the face and the pattern on the sole both set this wedge apart from any other wedge on the market today. If you’re looking for something unique and cutting edge, this wedge may be just the thing. It’s currently being played by some of the greatest players in the world, including Dustin Johnson, Jon Rahm, Rory McIlroy, and Justin Rose. The first thing you’ll notice about this club is that the grooves are extended all the way to the toe of the face. TaylorMade calls these their full-face scoring lines, which allow for more versatility and spin on shots around the green. It allows a player to open the face or close it down without sacrificing any spin. The expanded and high toe gives it a higher center of gravity, which will stop the club from closing down and allow players to keep the face open easier on high lofted shots. World number one, Dustin Johnson, provided TaylorMade with the input to extend the wedge grooves all the way to the end of the face. So, if it’s good for DJ, you know it’ll be good for every other golfer. On the underside of the club, you’ll see that there are three areas where weight has been removed. This helps to raise the center of gravity as well on the club and further provides higher spin rates on partial shots. The Hi-Toe features the same ATV (all-terrain versatility) sole that TaylorMade has had in their wedges over the last few years. They’ve updated their wedges with a computer-milled sole which gives the Hi-Toe more consistency from wedge to wedge. Meaning, you can be sure that no matter which one you choose, they are made exactly the same. TaylorMade has also made sure that the sole grind in the Hi-Toe provides optimal heel and toe relief, which will allow players to make more consistent and solid contact no matter what ground conditions they find themselves in. At the same time, there’s the right amount of bounce to give players the ability to hit great bunker shots, pick the ball clean off a tight dry lie, or flop it over an obstacle from the rough. The TaylorMade Hi-Toe wedge is a high-loft specialty wedge that is only offered in 58, 60, and 64 degrees. These are the lofts that players find the need to be most creative with their shots, whether that’s opening the face and hitting a high, soft shot or closing it down and blasting a ball out of a buried lie in the bunker. Every one of the wedges feature the ATV bounce grind mentioned above. This is a versatile bounce that allows players to hit shots in a variety of ground conditions and swing types. This special, high-lofted, wedge is perfect for players with a creative short game. A lot of wedge lines will attempt to make a club that is the best at every aspect of the short game, which isn’t always possible. With this wedge, TaylorMade was unapologetically laser-focused on creating a high-lofted wedge for the creative player around the greens. Any player who likes to mess around with different shot types and try new things all the time to see what works will enjoy the versatility of this club. Not to mention, the look of the club forces you to feel more confident when standing over a shot that you’re about to try for the first time. Players will have a lot of fun with this wedge, no matter their skill level. Bob Vokey is arguably the best designer of a wedge to ever step foot on planet Earth, thus any wedge that carries the Vokey name on it is guaranteed to be a world class product. The SM6 wedges are no exception. When Bob Vokey set out to design the SM6 wedges, his focus was to improve the wedge in 3 key areas of wedge play: precise distance gapping, shot versatility and maximum spin. Vokey uses progressive center of gravity (CG) in his design to obtain the precise distance and exceptional feel that he was after when designing the wedge. 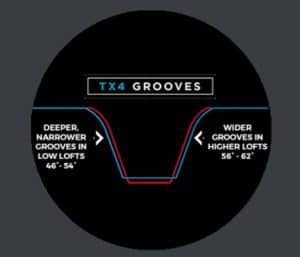 TX-4 groove technology ensures that the wedges produce maximum spin combined with great control. Bob Vokey’s designs has evolved over the years and each new design that he brings forward continues to improve on all of his previous models. The SM6 as is the case with any other Vokey wedge is always a leader in the wedge category. Often times irons from your set are designed with maximum distance in mind, wedges on the other hand are designed with control in mind, with that said more often than not a gap in distance will occur between your irons and wedges. 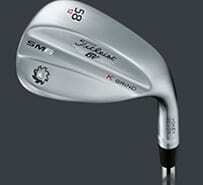 The SM6 wedges have a lower CG in the pitching and gap wedge heads. This innovation leads to faster ball speeds, and as a result more distance, thus ensuring that players aren’t stuck with an awkward gap between their 9 iron and their wedges. The CG in the sand wedge design is situated at a mid level ensuring the continuation of consistent distance gapping and shot control. In the higher lofted wedges (58 degrees and above) the CG is moved higher up in the face since the ball naturally rolls up over the clubface due to the high loft, yet again, the result is consistent distance and trajectory control, both factors that are key to great wedge shots. Maximum spin and control was another goal that Vokey had in mind when designing the SM6’s, TX-4 groove technology was used to ensure maximum spin and control. Lower lofted wedges (46 – 54 degrees) are designed with narrower grooves, and higher lofted wedges (56 – 62 degrees) are designed with wider grooves. These distinct design changes deliver optimized contact between golf ball and groove edges thus ensuring maximum spin. 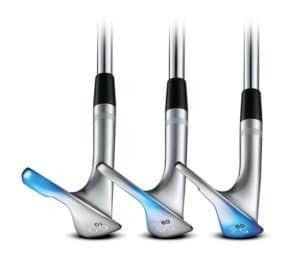 F-Grind – The F-Grind is a great versatile grind, very similar to the sole of what you’re irons would look like and thus it is the perfect grind when getting a Pitching Wedge or a Gap Wedge. The F-Grind is suitable for all conditions and all swing types, thus you can’t go wrong with this grind. M-Grind – The M-Grind is a great wedge for versatility around the greens, it is more suited towards players who have shallow angles of attack, or who sweep the ball off the grass. Ideal for playing in firmer conditions. S-Grind – The S-Grind has the versatility of the M-Grind around the greens, but it is also a very stable wedge when hitting full shots. A great option for a player that is long off the tee and has a lot of wedges into greens for their second shots. This is more suited towards players that have a steeper angle of attack into the ball. K-Grind –The K-Grind offers an option that has a wide sole, which is the perfect tool for getting out of the sand. It does favor the player with a steeper angle of attack, due to its wide sole it might seem and react a bit different so definitely try it out before purchasing the wedge.L-Grind – The L-Grind wedge was designed with firm conditions in mind, the enhanced heel, toe and trailing edge grind makes it the perfect low bounce wedge to ensure a clean strike when conditions are firm. This grind favors a player with a shallower angle of attack. 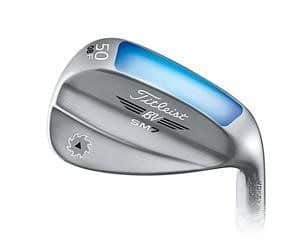 The great thing about the SM6 wedges are that each grind option offers different loft and bounce combinations thus you can find a wedge that is perfect for your game. I would recommended going for a fitting to ensure you get the best results and value for your money. 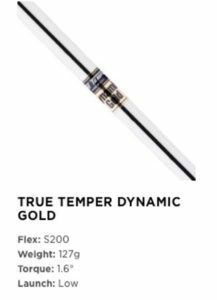 The SM6 wedges come standard with the true temper dynamic gold S200 shaft, but when going for a fitting many other shafts options will be available to try out. All SM6 wedges are available in 3 different finishes. The tour chrome option offers longevity, but some players don’t like the glare thus the steel gray or jet black options serve as great alternatives. Select SM6 grinds are offered in the raw finish. Getting the raw finish does come at an additional price. 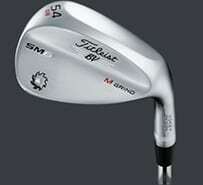 I personally have 4 SM6 wedges in the bag and I love them, getting custom fit for them ensured that I have the correct lofts to compliment my irons and fill out my gaps sufficiently. What I enjoy most is the fact that as player I can hit many different shots and trajectories with them, thus increasing my ability to hit it close from within the scoring zone. 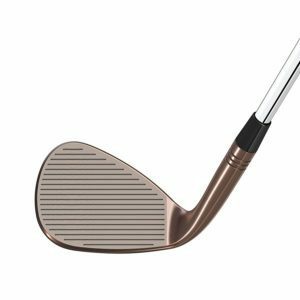 Forgiveness – The Raw finished SM6 wedges are extremely forgiving, it does have a bit of a rough look but I have personally always been a fan of a raw finished wedge. Glare, especially in bunkers are never a problem and the rust does assist with addition spin. Design – Compared to previous Titleist wedges the SM6 has a much more streamline design, by that I mean that the design is a lot smoother, when looking down at the ball it seems very sleek and I think this is due to the fact that the design of the toe differs from previous models. Price – The SM6 is a rather pricy wedge, new ones are going for about $150, and getting the raw finish will cost you even more. I do think it is worth the price tag, especially if you go for a fitting and get a set of wedges that are custom built for your needs. Bob Vokey combines class and style with technology to create beautiful looking wedges that perform equally as well. 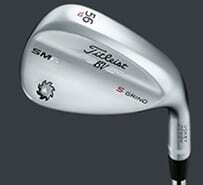 With all the loft/bounce/grind combinations you can get fit into you will without a doubt get the perfect wedge for our game.Personally I think a lower handicap player will get more value out of these wedges because they do favor shotmakers. If you are willing to spend money on a top of the line set of wedges the SM6’s will not disappoint. Finding a good new wedge that has all the new technology in its design can be very tricky. With wedges it is smart to rather save up and buy a new wedge instead of getting a used club, having fresh grooves makes a huge difference. There aren’t many option for under a $100, but the Ping Glide is a great option when you are shopping on a tight budget. 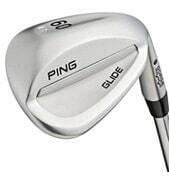 The Ping Glide is jam packed with technology, has a sleek look to it and has a variety of options to choose from. The Glide comes in four versatile sole options, thus there are options based on your swing as well as the different conditions you play in. The Glide comes standard with a custom grip that is a bit longer than usual to encourage players to grip down on their wedges, this will encourage players to hit lower shots and effectively get more shot options out of their wedge. The downside to the glide is that it only comes in the chrome finish, but for its price it is a great product. Most companies offer customization options when it comes to their golf clubs, especially their wedges, and when I say customization I don’t mean you get a choice of different shaft and grip options . Stamps and different color schemes use to be something that only the tour players had on their wedges, but now you can have that as well, for a small price of course. Customizing your wedge does make it stand out and unique to you, but it can also be a great gifting idea, so make sure to add that custom designed wedge to your wish list. Callaway and Cleveland offer great customization options at very affordable prices. Some might call me judgmental, but I have experienced first hand that wedge play, and especially chipping, doesn’t come naturally to every golfer. 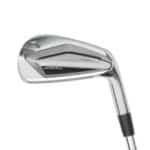 Hybrids have been designed to assist players who struggled to hit longer irons, thus no one came blame a player to look for a club that will assist them with their wedge game and in particular their chipping. Cleveland offer two great wedges that will help players who just do not get the hang of their wedges. At first glance you might not be convinced but these wedges are designed to assist players around the greens and out of the sand. Cleveland is a leader in the wedge business and they will not put their name on a product that they do not have faith in. The Smart Sole 2.0 S wedge is great for players who dread a bunker shot, but it is also very useful around the greens. The refined sole design allows for smooth turf interaction which promotes clean contact with the golf ball. The club also features the optimal bounce combination for its design to ensure that bunker woes are a thing of the past. This club comes with 58 degrees of loft and would serve as an alternate to a sand wedge or lob wedge. The Smart Sole 2.0 C wedge was designed to eliminate that dreaded chunked wedge or chip shot. This wedge works great for full shots and for chip shots around the greens. 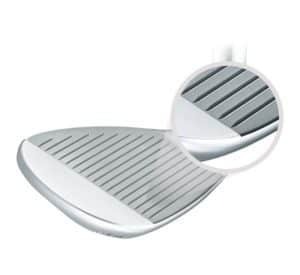 The design has a wide refined sole which promotes crisp and clean contact between clubface and ball. This club comes standard with 42 degrees of loft on it thus making it the perfect replacement for a misbehaving pitching wedge or gap wedge. With all the flash and design of putters, drivers and irons, it’s easy to forget about your scoring clubs, you’re wedges. Take a quick glance at a wedge from 15 years ago to now and you won’t notice a huge difference, in comparison if you compare driver models that are 15 years apart the difference is staggering. 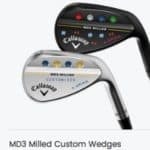 But don’t let the lack of flashy design changes fool you – there’s innovation happening in the world of wedges and your game can really improve with an upgraded set of wedges tailored for your game. You’re considered to be in the “Scoring Zone” when you’re 130 yards or less from the green. If you include the pitching wedge from your iron set, you’ll be hitting nearly every shot in the Scoring Zone with a wedge. These are the shots that determine whether you’re putting for birdie or bogey. A wedge is a high lofted golf club designed to send your golf ball high in the air and to use spin to control the roll of the ball once it lands. A higher trajectory means shorter distances, so wedges are primarily used around the green. There’s no hard rule but the ‘line’ between an iron and a wedge is 45 degrees of loft. 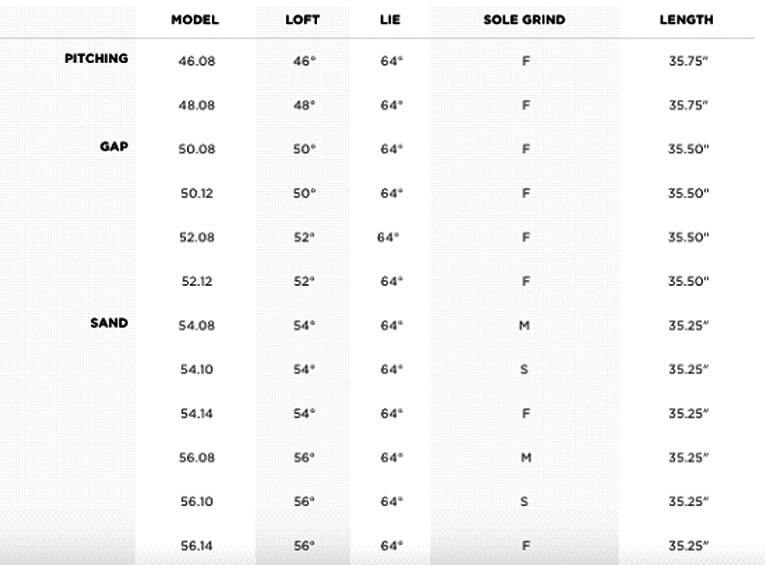 Anything above 45 degrees of loft is a wedge, and anything lower is considered an iron. Wedges are used mostly within 130 yards from the green and are easily the most versatile club in the golf bag. There’s simply no comparison – the wedge is truly the Swiss Army Knife of golf. This versatility means you can get very creative with your shots. You can take a 52 degree wedge and rotate the face open to create a 60 degree wedge; or close a 60 degree wedge to hit a bump and run shot. Because you can do so much with one club, players tend to favor one wedge as their default in most situations. One player, like Kyle did for years, may strongly favor a 52 degree gap wedge around the green while another uses only a 60 degree. (Or in my case, a 56 degree sand wedge for most situations). You’ll find that one of your wedges will give you more confidence and “just work” compared to the others. This is normal, very common and encouraged. The point is that there’s not only one philosophy to the short game and you should experiment to find out what works best for you. A wedge is very similar to a standard iron. A wedge looks no different from an iron when you look at the grip down to the hosel. The clubhead, however, is quite a bit different in subtle ways. Sole – the (relatively) flat, bottom area of the club. The design of this section helps to align the clubface with the target. 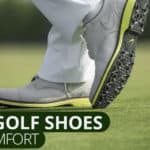 Different sole shapes can be combined with different bounce levels to help control the lie angle of the club like keeping the face aimed at the target when the golfer plays it with the face open to add loft. Bounce – “The angle between the leading edge and lowest point on the sole”, as wedge-genius Bob Vokey of Titleist puts it. It’s the rounded area in the shape of a small hill or wave that sits on the ground as you set up for your shot. This area is used for two things: (1) to control the ability of the club to cut into the ground and (2) weight distribution which helps control the location of the center of gravity of the clubface. We get into bounce in more detail below. Face – the flat area containing the grooved area used to make contact with the ball and usually non-grooved border space. Grooves – the “teeth” of the wedge that grab the soft shell of the golf ball and causes spin. The grooves are usually created in the club using a milling process. Clubs can vary in the size of the grooves and how many there are. The USGA has rules that govern groove depth. Grind – the shaping of the club sole by grinding off portions of it. Club manufacturers have branded grinds, such as the Titleist Vokey M-Grind. With wedges you’ll hit several types of golf shots depending on different conditions, the most important factors to consider when deciding on what shot to hit is the distance of the shot, the lie of your ball and the amount of green between yourself and the hole, besides these there are others factors to consider as well depending on the situation. Approach shots – Longer shots using a relative full swing with the aim of landing on the green. Lob shots – The highest ball flight of the wedge shots. You use this when you don’t want the ball to roll much when it lands or if you’re trying to clear an obstacle when your target is close. Lob shots are used when you want approximately 90% carry and 10% roll. Pitch shot – A medium trajectory shot using less than a full swing. Used when looking for a good mix of distance and roll. Chip shots – Short shots with minimal air-time and maximum roll (compared to carry distance – they still may be short). Chip shots are used to hop over fringe or rough when you have lots of green to work with. Sand shots – Shots made from sand traps using a wedge with an open face and a pretty full swing to splash the ball out of the sand without making contact between the clubface and ball. Aside from the approach shot, each of these shot trajectories can be created with any of the wedges using a technique to open or close the clubface. It’s usually best to play one club as 1 loft higher or 1 loft lower – e.g. playing your 56 degree sand wedge as a 60 degree lob wedge. Using a 60 degree wedge as a 52 or lower forces you to lean club shaft out too much to make consistent contact. Now that you’re familiar with the shot types, lets look at the wedges you’ll use to make those shots. Pitching Wedge – Loft range: 44-48 degrees. Available with almost every Iron set, a Pitching wedge is designed predominantly for full shots. 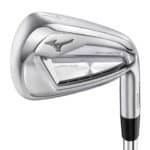 Its loft is designed to provide a good gap between it and the 9 Iron of the set. For example, the Callaway Apex CF 16 irons have a 9 iron with a loft of 40 degrees, and the pitching wedge has a loft of 45. This gap is very important, it sets the starting point for the rest of the wedge makeup. Gap/Utility/Approach Wedge – Loft Range: 50-54 Degrees. The reason for the many names listed here is that the name really depends on the manufacturer, but all of them are the same club. 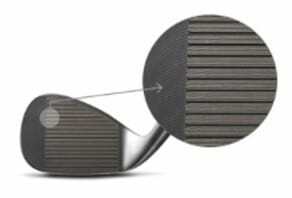 The second wedge is simply a bridge so that a player doesn’t go from a wedge of 44-48 degrees to one with 56 degrees. These wedges are particularly handy to have in the bag when you’re in the greenside bunker about 30-50 yards from the green, as it might be too far for the higher lofted wedges, but too short for the lower irons. Sand Wedge – Loft Range: 54-58 Degrees. 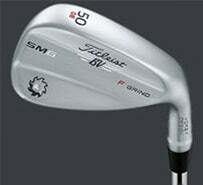 The sand wedge is one of the most used wedges in bags. Whether it is a shot from the fairway, or a swing from the bunker, this club is so versatile. If you want one wedge in your bag to be your favorite, and something you can depend on, the Sand wedge is the one. For a long time this was the highest lofted club in the bag until the arrival of the lob wedge. Lob Wedge – Loft Range: 60-64 degrees. The Lob Wedge is the type of club whose use really depends on the player. The Lob wedge is the type of club you may only use once or twice a round. You just simply might not need a club with this much loft, but when you do, being able to hit those super flop shots is a welcome addition to the bag. Now, there are a few important things to remember when deciding what wedges to have in the bag. You want to make sure your gapping has actual gaps, and the transition from your irons is smooth. If you have a 48 degree Pitching wedge, it really doesn’t make sense for you to have a 50 degree wedge. The normal gap is 4-5 degrees. So for example, review the table below. We’ll use the Taylormade P770 Irons as an example. Notice the gap in lofts increases as the club # gets higher. Club makers do this because the higher clubs provide lower distance and maintaining a 3 degree gap between clubs would not make enough of a difference between the 8 and 9 irons, for example. Let’s look at some PGA Tour pros as an example. 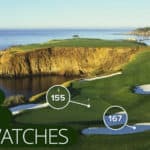 The typical distance between clubs on the PGA Tour is about 9-12 yards, even though rate of change in loft is higher between clubs as you work your way through the bag. This is a trend we’d ideally want to continue with your choice of wedges so that you have a club for any shot you need on the course. Unfortunately, you’d end up with more clubs than allowed in your bag if you had a 50 yard club, 60 yard club, and so on through 225 yards. Good wedge play means precision and requires you develop partial-swing shots to dial-in your distances. With each wedge you may have 3-4 different swings to produce different distances. Many teachers use a clock method to train yourself. This is all to say that your distance gaps between full swings of your wedges will be larger than the gap between a 4 and 5-iron. 110 yards may be too long for your sand wedge but if you swing your PW at 85% (or to 10 o’clock, using the clock example) you can get there. The key to wedge loft selection is to make sure you have clubs that don’t leave you stuck choosing between swinging 120% with one club or an awkward partial swing with a lower lofted club. If you’re building your first set of wedges and have your first good set of irons, you can look up the degrees of loft on your lowest iron (PW or AW) then simply get a 60 degree lob wedge (LW) and two additional wedges between your AW and LW. If your highest lofted iron (AW/PW) is 48 degrees, go for a 52, 56 and 60 degree set. If your AW/PW is around 50, go 54-58, and if you feel the need perhaps a 62 degree. Just because a type of wedge is available doesn’t mean its necessary you get it. For example, a lot of manufacturers sell Irons with a pitching wedge, and an approach wedge but this might not be the only option. Some players only get the actual irons, like 3-9, and then build their wedges from there. There’s nothing wrong with having 2 wedges instead of 3, especially if your budget is limited. When deciding on how many wedges to carry in your bag it is also important to take a look at your own personal game. Players who hit it shorter off the tee don’t need 4 wedges in their bags, they will benefit much more by adding an additional hybrid or wood instead of a 62 degree wedge that they maybe use once per round. Not all wedges are the same. Every club and brand has it’s own specs and characteristics. It is very important, as it is with all clubs, to actually be fitted for wedges. Do not just go to a store and hit shots. Take the time, schedule a fitting with your local professional or retailer and actually do it right. 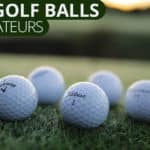 With all the different grind and bounce options that are available on the market at the moment it is even more important to get fit by a professional to ensure that you purchase a club that is suited for you’re game. The Bounce of a wedge is a measure of the part of the club that hits the ground behind the ball. The bounce is used to control the resistance of the club to dig into the ground. The leading edge of a wedge is rather sharp, which means it can cut into the ground as you hit the ball. Getting underneath the ball is not an inherently good or bad thing – it can hurt and help you depending on your swing. Let’s take an example: if you’re a casual golfer and your club attacks the ball steeply. You’re a bit inconsistent and hit flubbed shots by hitting behind the ball about 40% of the time. Having extra bounce in your wedges could help keep the club from catching too much dirt and stay above ground through your follow-through. In this example, you would want more bounce. Another example: You swing shallow and tend to nick the ball cleanly off the turf. Having more bounce could cause problems for you if the extra bounce causes the clubhead to bounce off the ground. What would be a smooth, shallow shot could be knocked completely offline with too much bounce. There are three classification of Bounce, and all serve a different purpose as explained below. Low Bounce – Normally, these wedges have bounces of 4-6 degrees. Low bounce wedges are best for people who have shallower swings, and sweep the ball, leaving a smaller divot. The wedges are also beneficial to situations where you might play in firmer conditions. For example, if you play on lush Florida courses, a low bounce might not be the best for you, as you will take a bigger divot, but would benefit the player from Texas who’s fairways are firmer. Mid Bounce – With bounce from 7 to 10 degrees, these wedges provide different options, and reach across all areas of the player spectrum. Majority of players will use a mid bounce wedge. Professionals tend to play around more with different bounces since they are able to manipulate the club a great deal, something that most amateur can’t do successfully. High Bounce – If you, like me, are used to coming in steep at the ball and take big divots, these wedges will suit you the best, but also will benefit those playing softer fairways. While this isn’t attempting to push you to get a wedge you don’t like simply because its “Supposed to be best for you”, this will help you understand why you might be fitted a certain way if you go to a fitting. The grind of a wedge can be defined as the width and shape of the sole of the club. Wedge designers have designed clubs with many different grind options to choose from over the last 5 years or so. Having all these options sound great but it has complicated the buying process for the average golfers. Different types of grinds can make a huge difference depending on a players swing thus it is very important to get fitted by a professional. To make matters more complicated there is no standardized classification for grinds, thus each brand has their own set of terms that they to classify the different grind options that they sell. C Grind – the more versatile grind. Less bounce near the hosel, which allows for the face to be opened while keeping the leading edge under the ball. Too much bounce there and you might hit the ball too thin. Edel, originally a producer of mainly putters and wedges made famous by Bryson Dechambeau for the one length irons that they custom built for him. Edel uses completely different names to market the different wedge grinds that they offer. 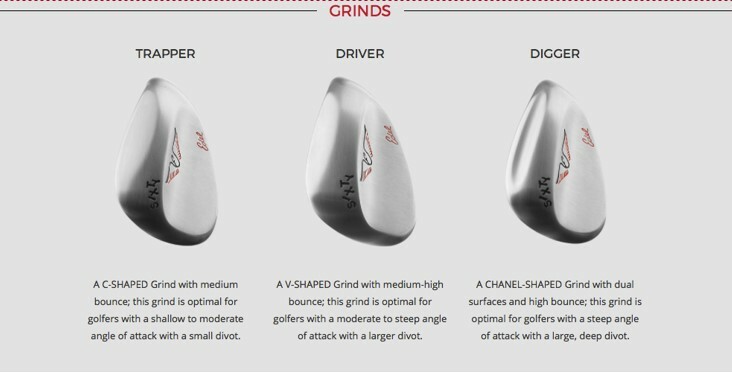 The picture below from their website illustrates just how different they approach wedge grinds compared to Callaway. Going for a fitting is the ideal scenario, but my personal rule of thumb when a fitting isn’t an option and when you don’t know what wedge grind to buy is to go for the option that is the most standard and neutral. 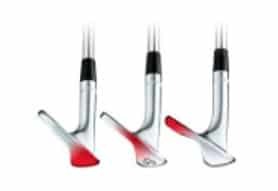 With most companies it will be the mid bounce wedge option that doesn’t have a severe leading or trailing edge and a sole width that is similar to your irons. An often overlooked part of selecting a wedge is the finish a wedge may have. The Finish is what provides a clubs color. Majority of major brands offer three different finish options. Again as with the grinds, different companies offer different finishes but black, chrome and nickel are some of the most popular options. Below are the different finishes offered by Callaway. Chrome – These finishes will last the longest, but can sometimes be blinding in the sunlight. Chrome finishes are not commonly known as the most forgiving wedges since the finish is designed to be more durable and longer lasting. 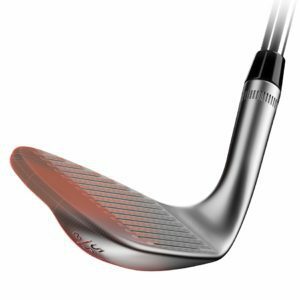 “Raw” finishes – A lot of wedges might not be finished. This means that, over time, the club will wear and rust. The club changes and leads to better spin. For some players, this is both a good thing and a bad thing as the club is deteriorating. 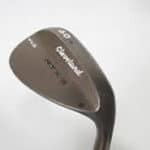 Wedges with a raw or nickel finishes will appear softer at impact and will normally be seen as more forgiving when compared to a chrome finished wedge. Buying the correct wedge can be tricky, but we are going to review some of the best wedges for 2017 in order to assist with the process and to ensure that you make an educated investment into arguably the most important aspect of your golf game. Excellent explanation of wedge terminology.